Everyone deserves a place to call home. But too many people in Leicester and Leicestershire aren’t getting the shelter or support they need and have nowhere to call home. You can help change that. 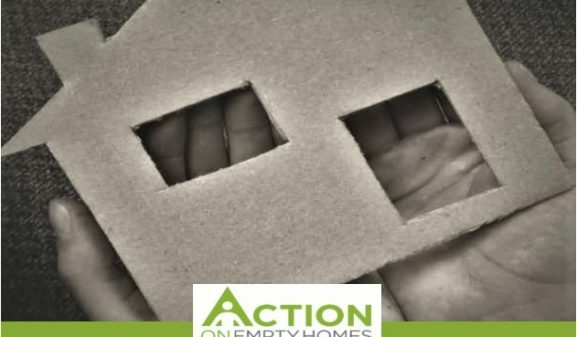 By supporting our ‘Action On Empty Homes’ campaign, you can help provide the independence needed to allow these individuals to rebuild their lives. Action Homeless are appealing for donations to help bring empty properties back to life. There are more than 10,000 families on the Council’s housing waiting list yet estimates show there are over 5,000 empty properties across Leicester and Leicestershire. Over the past 2 years Action Homeless has renovated 7 empty properties providing essential housing for families and individuals. However, we need your help to raise £30,000 to renovate and convert 4 more empty properties into homes. Your sponsorship will help provide safe, supported accommodation for approximately 16 people at severe risk of homelessness. Last year Samuel, his partner and their two young children became homeless. Ben also became homeless following a relationship breakdown. He soon met Gemma and started a family. Thanks to the ‘Action On Empty Homes’ campaign, both families were given a property of their own just in time for Christmas.